So yeah LAPD Pacific must have sent the memo for this into the wormhole cause even their Facebook didn’t have it… and the first run was last night so sorry folks, going to have to hustle in traffic with the kids to one of the upcoming locations… but it IS WORTH IT!!! Map for all this nonsense below courtesy of web based documents from Pacific Division developed during the Jurrasic Period. 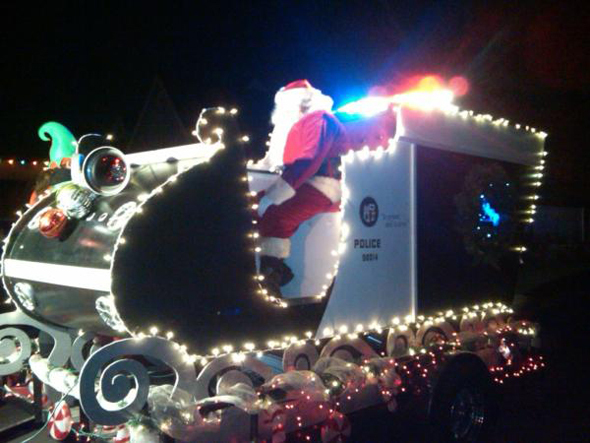 These Stop Times can vary 15 to 30 minutes cause this is LA and traffic is a lump of coal in your stocking, and it is on fire..
4PM – 5962 W 75th St.
4:45PM – 7835 Goddard Ave.
5:30PM – 4821 W. 63rd St.
6:45PM – 8937 Fleetwing Ave. So YOUR City Attorney is trying to settle a lawsuit without deposing the plaintiffs or the defendants in a case that will upend all efforts of citizens and voters in The City of LA regarding homeless issues. BTW the plaintiff is The City of Los Angeles and the 3 LA City Police Officers involved have not been interviewed at ALL. The LA City Attorney is supposed to represent & defend The City – and instead for whatever sneaky reason he is going out of his way to try and slip this by you, me, the press and everyone else and it is a seriously bad situation. He has chosen NOT to properly represent The City and the 3 police officers in this case. The body camera video has not been reviewed – and he has played a shell game with the dates for a hearing of this case in an obvious effort to thwart public comment and force through an option that will not only wind up having The City of Los Angeles pay even MORE MONEY to Attorney Carol Sobel – but will result in an agreement that will completely SCREW over anyone that lives, uses or walks on any sidewalk in Los Angeles. 1. 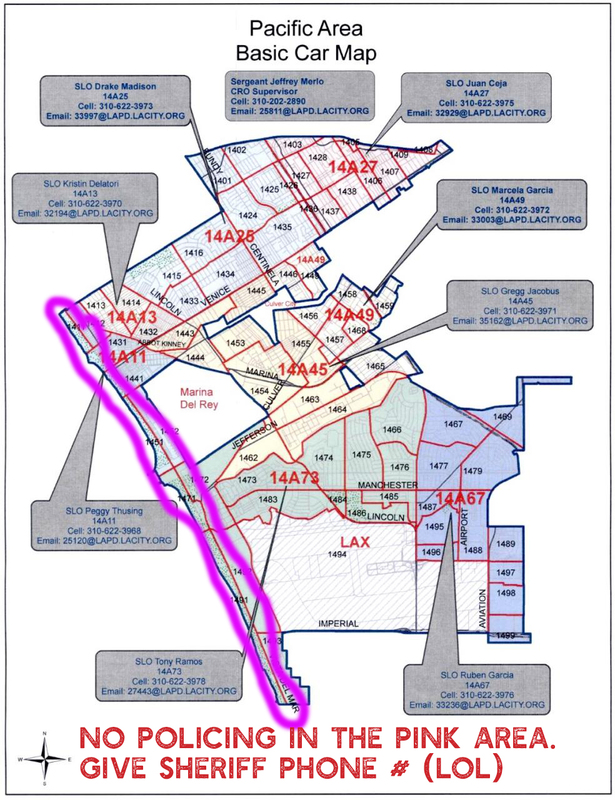 That this is not just about skid Row boundaries. Constitutional rights extend all sidewalks so eventually there will be more litigation on other side walks across the city of Los Angeles. Costing the city more money, than already with the LAVAN & JONES settlements. 2. Taxpayers have committed w HHH & H, the City has offered numerous programs, $$ to support homeless relief – housing, shelter, and services. It’s very late in the game, but we should not allow the public right of way to be handed over to private citizens before we see sufficient beds in place. Also to put this in as a special meeting with the agenda just posted just now – is an affront to the democratic process which allows all people no matter who they are to have a voice. Per the Brown act – only 24 hours notice for “special meetings” is allowed for posting meeting and agenda info. The question is, is this an emergency??? Why the “special meeting” if not to prevent public comment? They have scheduled and rescheduled several times now – but now they are pushing the settlement and there is no legitimate reason for this course of action…. read & weep … bit GO TO THE MEETING!!! The Homelessness & Poverty Committee is scheduled to discuss Mitchell vs. City of Los Angeles on September 7 at 9 am. City Attorney Mike Feuer will be providing the first official briefing of the case to this committee in closed session, and there will be opportunity for public comment before the discussion. Your voice is critical and we need your support. It is important that our elected officials hear our thoughts on this issue that will have serious implications for Downtown and the city. If you are able to provide public comment, please be on time. Mitchell vs. City of Los Angeles could eliminate any limit on the amount of personal property that a person can have on the sidewalk. 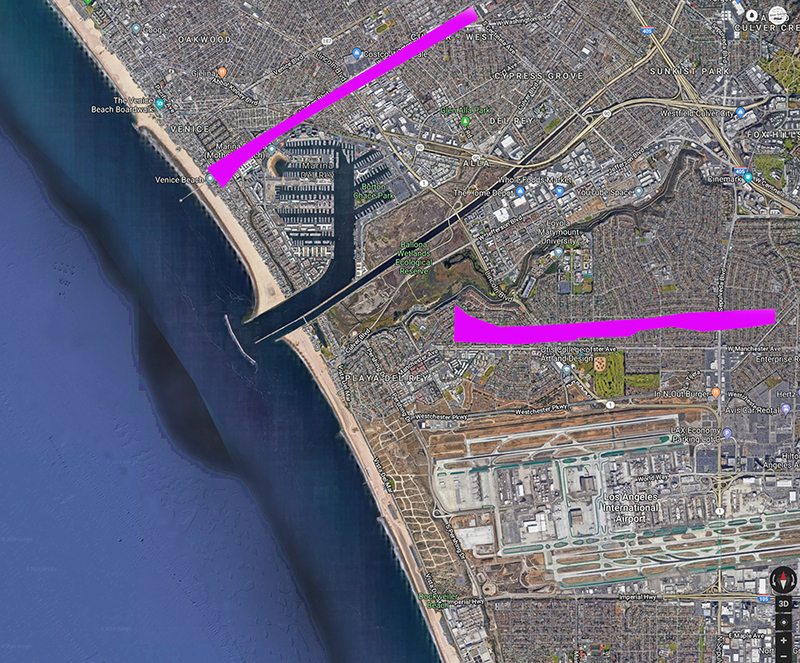 The current injunction issued in 2016 only applies to Downtown, specifically from Spring to Alameda and 3rd to 8th Streets, and this could be made permanent through a settlement agreement. The City has the following options: settle the Mitchell case in accordance with the current injunction, enter into a citywide settlement or go to trial. We are asking the City to go to trial and not settle on terms that treat Downtown differently and would decrease the quality of life for the homeless population in Downtown. •	Mitchell effectively eliminates the 60-gallon limit on personal goods only for Downtown (this limit is established in LA Municipal Code 56.11 – Storage of Personal Goods). 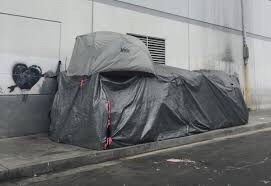 •	Eliminating the 60-gallon limit will result in further densification of the Downtown homeless population and make it more challenging to provide housing, services and facilities to meet the current need. •	The rise in tents and personal goods on the sidewalks is a direct result of Mitchell. We are very concerned that this prevents people from seeking services or reconciling with family or significant others by making life on the sidewalk permanent. •	This should not be the standard for our homeless neighbors. We can do better by providing housing. If the City were to settle Mitchell with the current terms, this standard could become permanent. •	We are very concerned that permanently eliminating this standard in one neighborhood of Los Angeles is unconstitutional and would set the City up for litigation in other neighborhoods. •	We also believe a Downtown settlement would continue the over-concentration of homeless individuals, services and housing in Downtown, and ultimately further decrease the quality of life for the current homeless population in Downtown that needs individualized treatment and care to live safely and reenter society. If you are unable to attend the meeting, we encourage you to voice your opinion by contacting the Homelessness & Poverty Committee members by phone or with a letter. The members are Councilmembers Bonin, Harris-Dawson, Huizar, Price and Rodriguez. Please let us know if you need assistance. If you would like to join us at the committee meeting or want more info, please contact Shawn Bratton at sbratton@ccala.org. 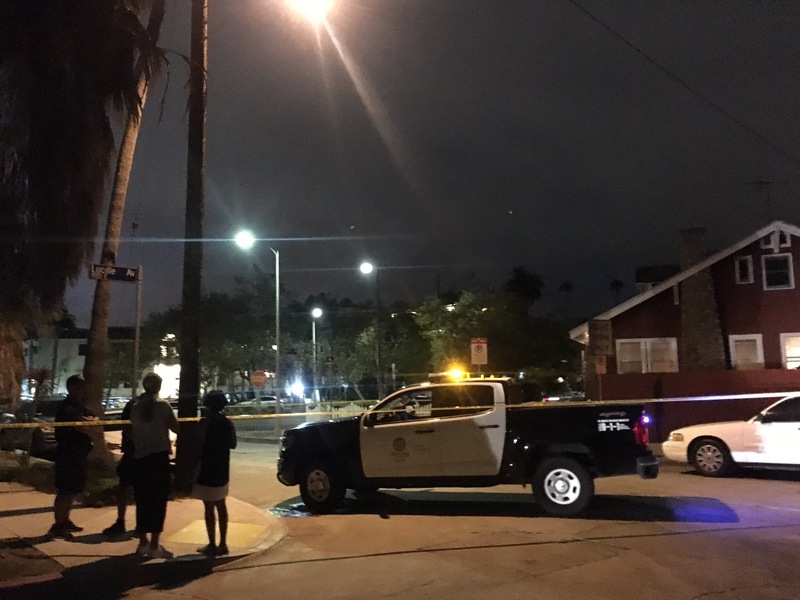 Last night just after 8:30 p.m. A help call came out by LAPD for shots fired with a victim down at the 800 block of Venice Bl. Officers engaged two men having an arguement – initiated contact and a shooting occurred wounding the suspect who was transported to the hospital. Several residents reported the gunfire. Folks that live nearby reported via twitter that the man was a former Marine, and possibly was armed with a rifle. Per news there may have been a roommate dispute with one shooting the other, who was transported to the hospital and succumbed to his injuries. 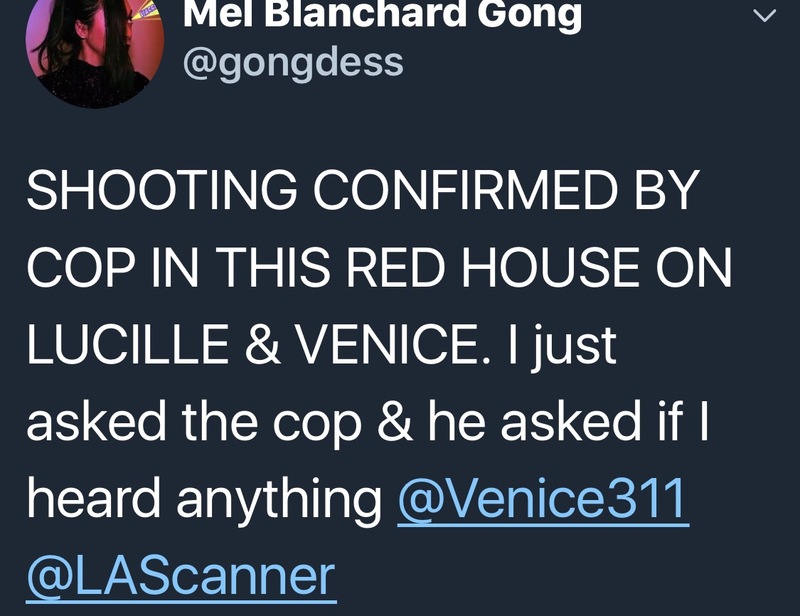 Getting more details …..
and UPDATE – apparently it was an OIS – roommate dispute. Officers arrived at scene during altercation and shooting occurred- victim died and was apparently armed when officers made contact. When I heard that public opinion was being sought regarding police video and body cameras, I was extremely interested… but unfortunately the myriad of news stories and massive press coverage didn’t point to the online survey. #FAIL ! CLICK HERE TO TAKE THE POLICE VIDEO SURVEY! You can also upload independent comments here. Thanks to our local Venice Beach Senior Lead Officer Roberts, we were linked up with the folks from NYU and UCLA Law that organized the survey and who are doing an extensive research study on the issue. They also developed this video which addresses many of the concerns and issues regarding police incident video. What should happen if a police officer’s body-worn camera records an officer-involved shooting or other serious use of force incident? 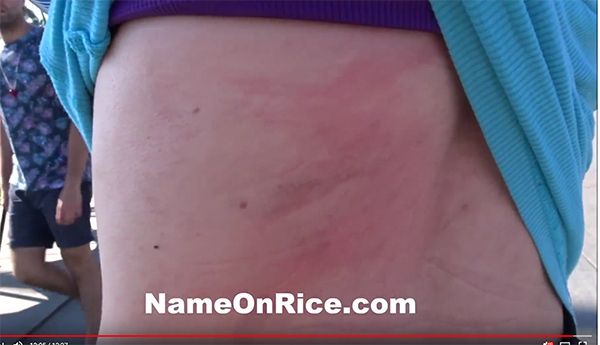 Should the video be made public? And if so, when? The Los Angeles Police Commission is developing a new policy on the release of video footage after such incidents. The Los Angeles Police Commission wants to make sure that its new policy is responsive to community concerns. It has asked the Policing Project at New York University School of Law to gather public input on what the policy should be. The Policing Project will work with professors and students at UCLA School of Law and UC Irvine School of Law to get input from the community and report back to the Commission. In deciding whether and when to release video after an officer-involved shooting, there are many factors to consider. To learn more, watch the video below, or read a brief fact sheet about some of the tradeoffs involved. Yes, I am talking to you. The person who lives at the beach and owns a bike. That awkward thing that takes up space in your house or apartment so you don’t keep it inside… instead you lock it up away from your other typically less expensive prized possessions…. and it gets stolen. Maybe you are flush with cash and it is just a disposable item, replaceable for a few hundred bucks… part of the cost of living in Venice (and all of LA). Or maybe, you just didn’t know and your very personalized, stylish pedal machine that had an awesome saddle, custom bell, and cool wooden basket which you rode through stop sign after stop sign while breezing around the neighborhood is not replaceable, it was part of your personality. Or maybe it was your only way to get to work, or school… and losing it hurts. 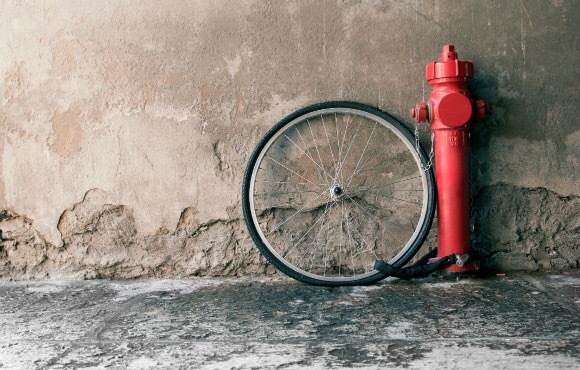 Well, regardless – bike theft is prolific and thieves rely on you not registering it, or making a police report when it gets stolen. So do yourself a favor. Act ahead for once… and register your bike at bikeindex.org . It is a non-profit, and apparently these guys figured out a simple and successful way to make a record of your pushy in the event it goes missing…. Makes sense, right? Click here —> bikeindex.org to execute … or disregard to keep self-sabotaging your life. 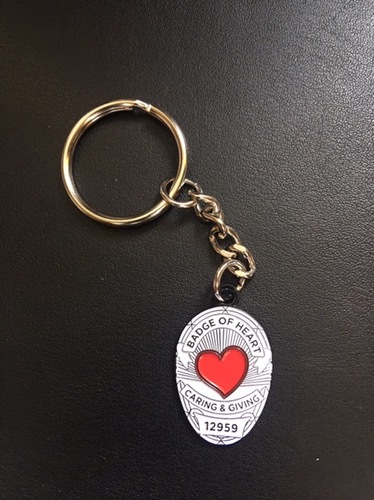 Keychain for Fundraising. Only $10 & Free Shipping. 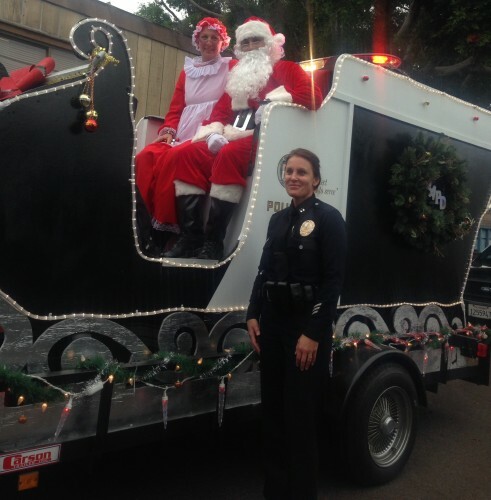 Proceeds helps LA Police Officers Sponsor families in need. Badge Of Heart. Goes to help OUR NEIGHBORS in need. As they spray paint on the side of the pier…. locals only. Help em out! Ahhhhh rain. We need it so badly, but it comes with a price. 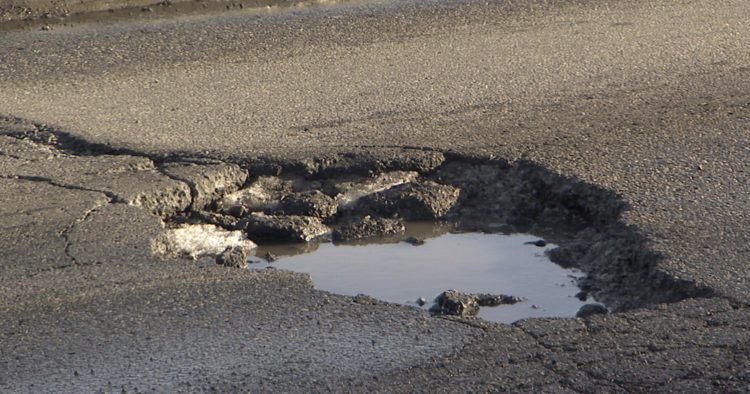 No good deed goes unpunished as they say… so when the rains come and bubble up all the sun-parched asphalt… Los Angeles roads burp up an insane amount of new potholes. So what happens if your car is damaged by a pothole after you spent all that money lowering it, and putting stupid low profile but high performance tires on your dumb Civic, and the coffee can exhaust? Well, if it happened in the City of Los Angeles… here is the link to the online form to (attempt) to make a claim: https://claims.lacity.org/Home/BasicClaim and if it is on the freeway, CalTrans may, or may not have your back with their form here: http://www.dot.ca.gov/damageclaims.html .